A marauding linebacker who changed the game of football, a tough-as-nails quarterback, and a fiery head coach helped the 1986 New York Giants leave an indelible mark on the NFL. 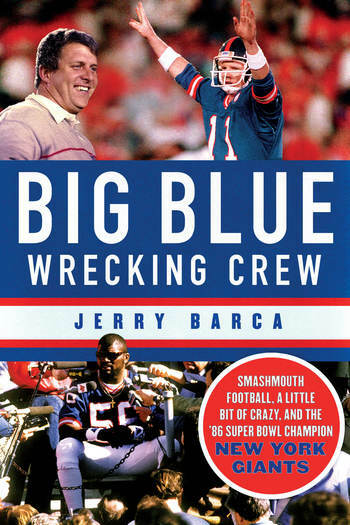 Big Blue Wrecking Crew is the no-holds-barred story of the team that created Giant Football, the pound-you-into-submission, quarterback-crushing defense, coupled with a powerful ball control offense that resulted in a 1986 Superbowl Championship—the first in team history. In a gripping narrative of the season that changed the course of a franchise, author Jerry Barca takes readers on a wild journey filled with improbable characters. Linebacker Lawrence Taylor partied with the same level of recklessness and violence he put forth when he donned his jersey. Bill Parcells motivated his team in an unrelenting Jersey Guy way, and quiet defensive genius Bill Belichick would go on to greatness. Based on years of research and hundreds of interviews, Barca chronicles the Giants’ rise out of rock bottom to their status as a premiere NFL franchise. 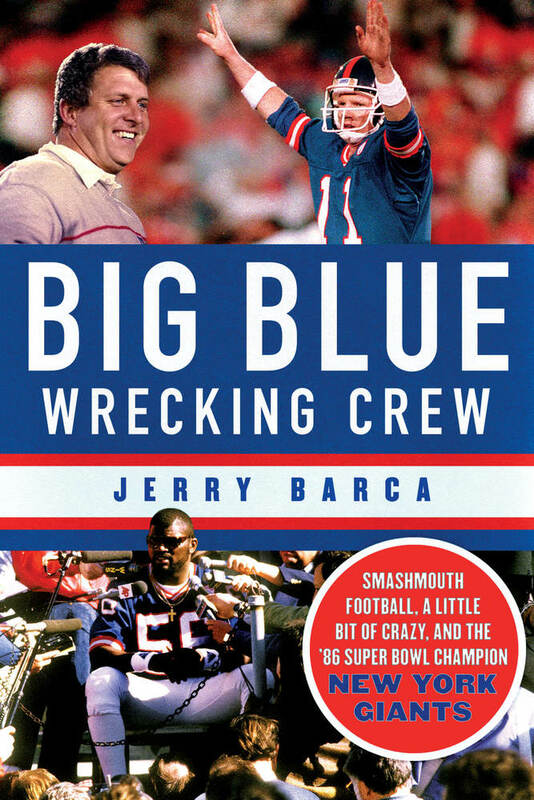 From behind-the-scenes personnel discussions of general manager George Young to the meeting rooms with Parcells and defensive coordinator Bill Belichick, Big Blue Wrecking Crew is filled with the riveting exploits of unforgettable players. It is an unfiltered look at how enormous egos came together to win a championship, playing hard and partying equally as hard along the way. JERRY BARCA is an author and journalist. His writing has been published in The New York Times, SI.com, ESPN.com, and he is a regular contributor to Forbes. He is the author of Unbeatable and he produced the documentary film Plimpton!, which was a New York Times critic’s pick. Barca is a graduate of Seton Hall Prep with a bachelor’s degree from the University of Notre Dame and a master’s from Syracuse University’s S.I. Newhouse School. He lives in New Jersey with his wife and their four children.